This is one of the best set of throwing knives. The set includes two throwing knives which are 8 1/4" in overall length. 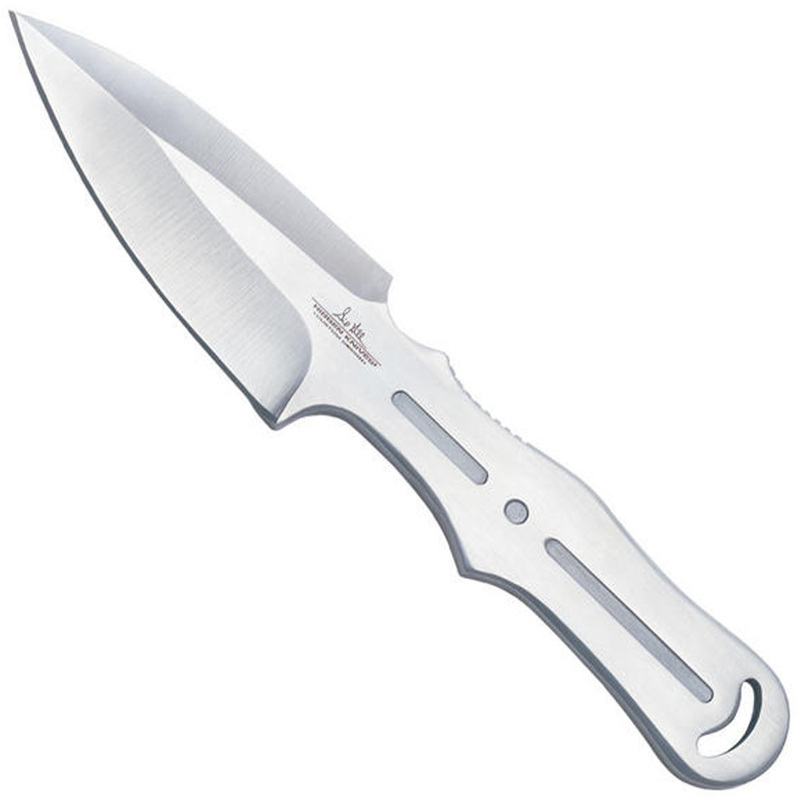 The blade is 3 3/4" in length along with a thickness of 3/16". These generation 2 Pro thrower knives are the upgraded versions of the original pro thrower. Each knife is a single piece construction made from 420 stainless steel for durability and consistency. The trigger grip handle design facilitates throwing with accurate speed. 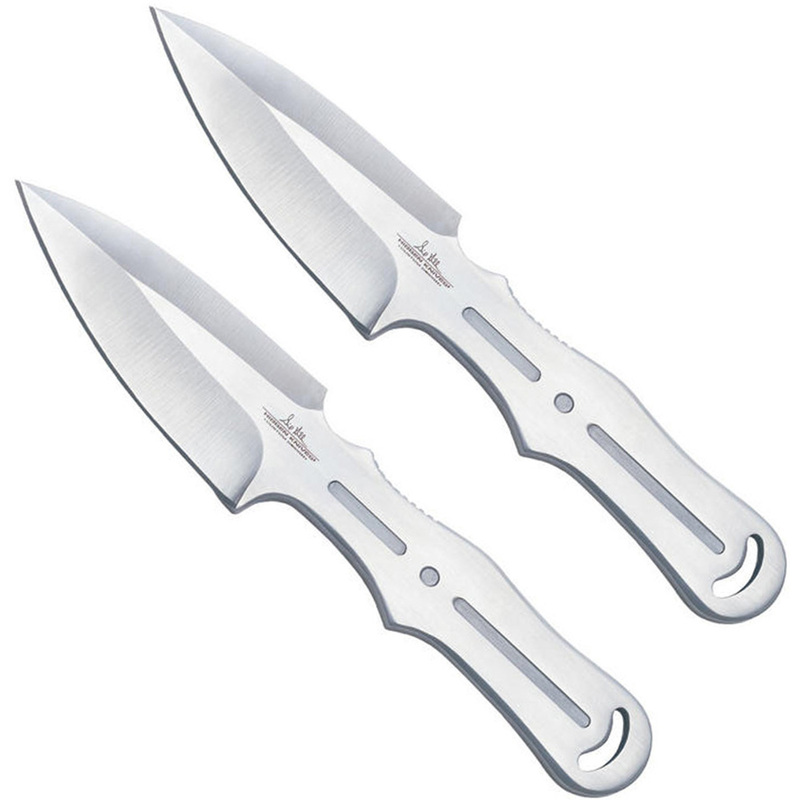 Its ergonomic design makes it a preferred set for advanced level learners.this is very good and high quality set for those wanting to learn or practice knife throwing. 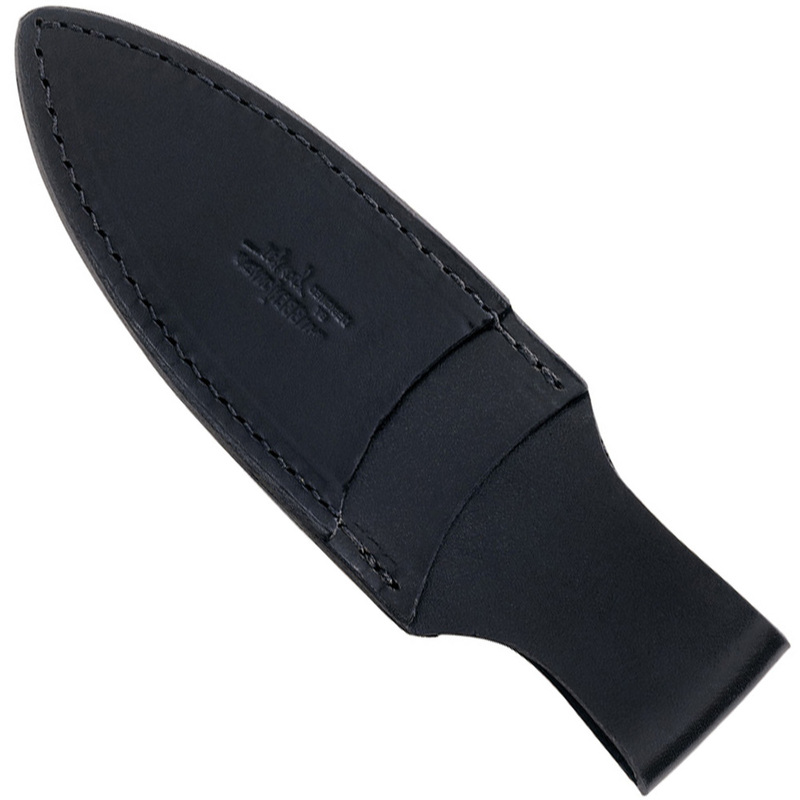 This combo comes along with a leather belt sheath that ensures safe storage of these knives. It is well balanced; easy to find the balance point.